LEGO has brougt us some great Christmas themed sets like 10216 Winter Village Bakery, 10222 Winter Village Post Office, 10229 Winter Village Cottage, 10249 Winter Village Toy Shop (which is actually a remake of set 10199), 10235 Winter Village Market, 10254 Winter Holiday Train and 10259 Winter Village Station to assemble our very own Winter Village. With this build from BrickChamps you can let Santa pay a visit to Winter Village. 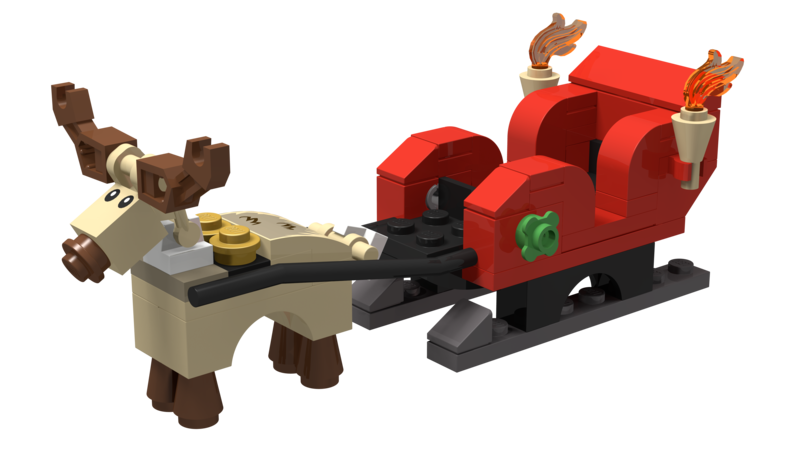 Our build is a remake of 40059 Santa’s Sleigh and combines the reindeer from 10245 Santa’s Workshop with a revised sleigh from 3300014 Christmas set.